Well it's Monday and the start of a new week. I'm tired from camping but it is a good tired. I have had several orders that I had to fulfill and request for some new designs. I think I may be seeing the light sometime this week. This morning I sharing a set I made before Corbin got here just never got around to getting the pics. I just love how cute this set turned out. I hope when Corbin goes home to get some invitations made to match it. All the images where merged to the box then printed and cut with the Silhouette. Very new at making wrappers but I love this one for sure. I did have to spend some time getting the measures just right for the head band. Added the star to match the head band on the little Super Hero. The mask was a challenge to get it just right. 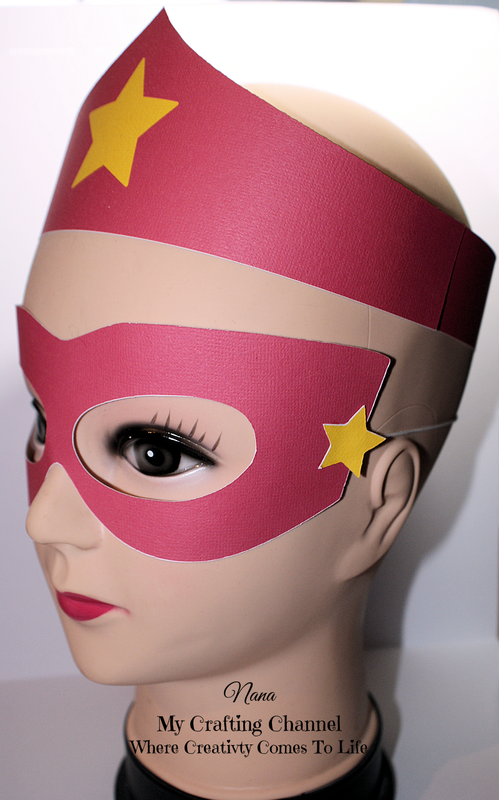 I ordered some of the stretch band like you find on the Halloween mask and they seem to work perfectly. I also added the star to each side. These will be perfect for all the little girls at any Super Hero themed party. 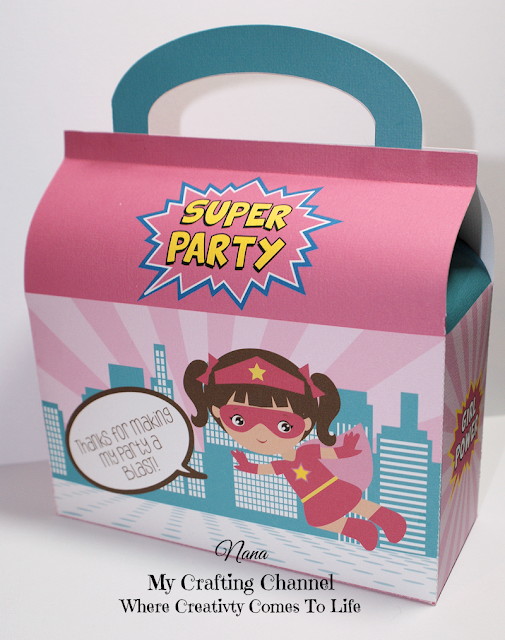 Oh what a cute party set! 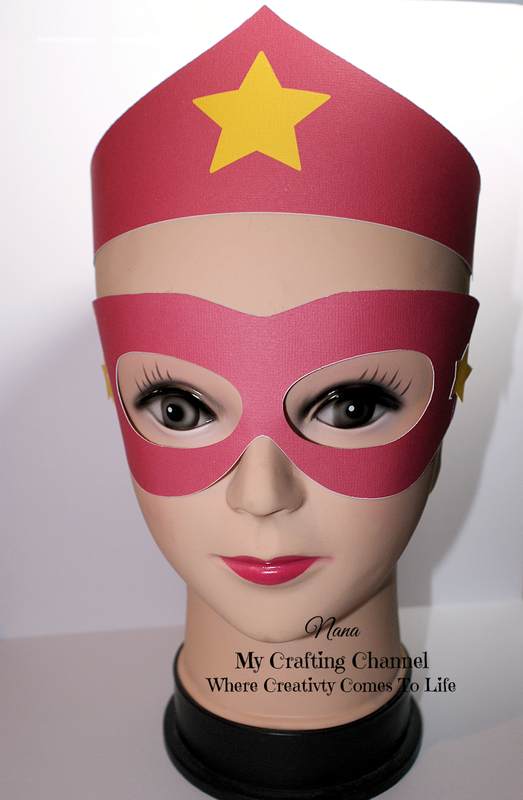 Little girls will love it, awesome hat and mask! I was waiting on a super girl..lol.. She is Super COOL!! 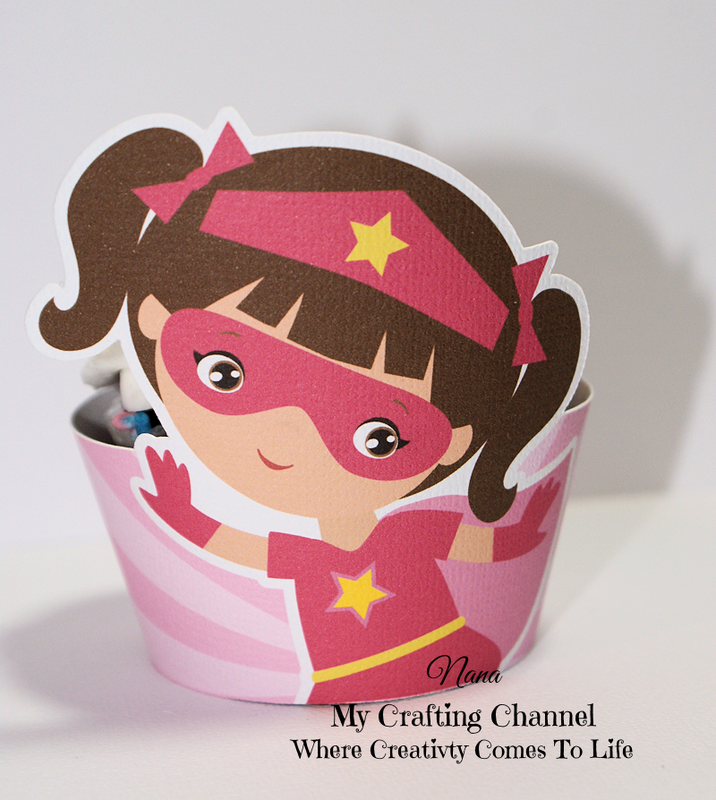 Adorable projects! 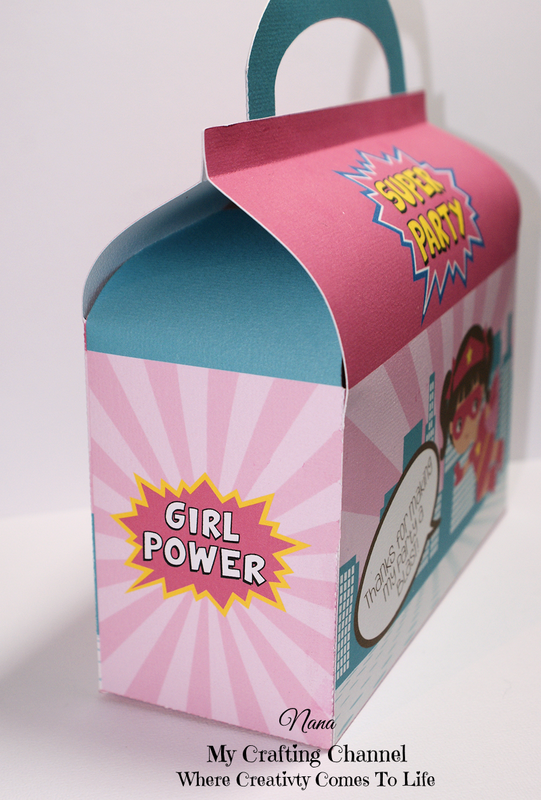 I love the Girl Power theme, it's just adorable! The mask and crown are so fun too! I know these will be a hit! Glad to hear you enjoyed your camping trip! What a fabulous projects!!! I love the super girl theme!!! LOVE this cool party set!! Have a great day. OMGOSH... so stinkin' SUPER cute! 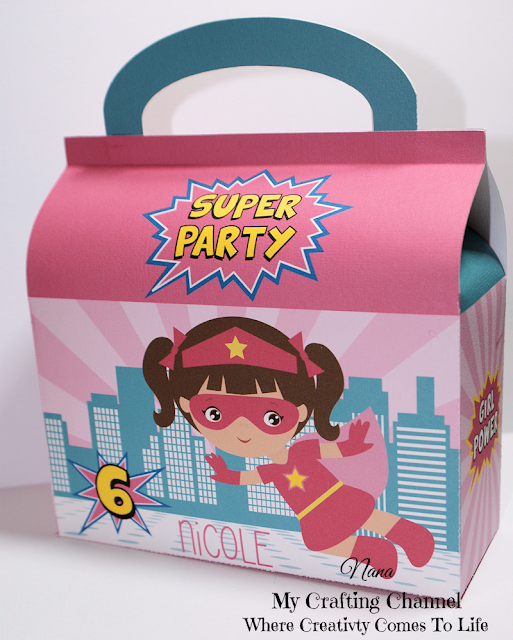 LOVE the girly super hero!